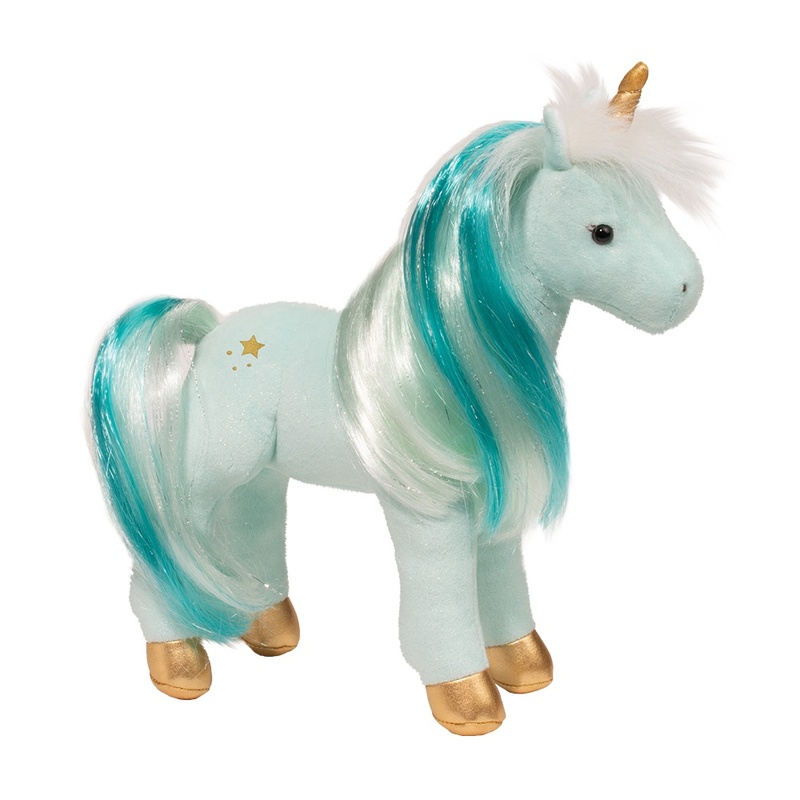 Kalina the Aqua Unicorn stuffed animal loves prancing across moonbeams and chasingshooting stars! 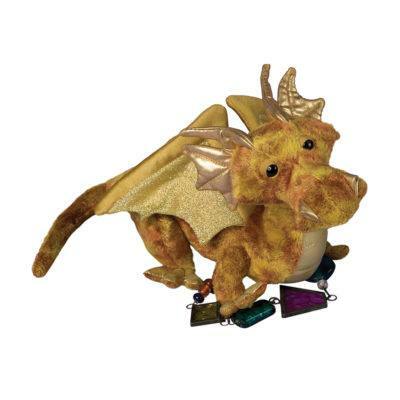 This spirited fantasy friend is the magical color of a starlight twinkle! 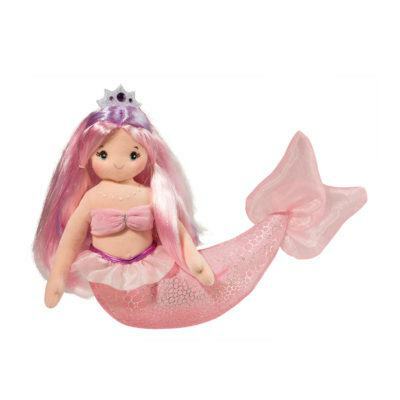 Sheis crafted with soft plush materials and stuffed with the cuddliest polyester fill toguarantee the very best hugs. 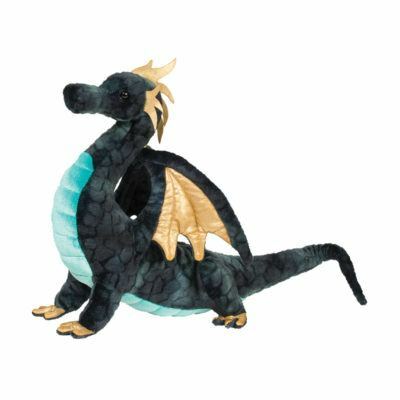 Metallic material has been selected for her hooves andhorn while embroidered golden stars accent her rump. A bit of additional fairytale funcan be found in the silver strands of tinsel in her long, brushable mane and tail. 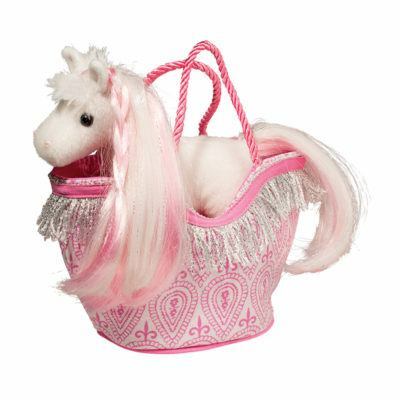 LetKalina the beautiful plush Unicorn lead the way to hours of fun and a world ofenchantment!